EU Consumer Rights Directive: Do you know what it means for your business? The new EU Consumer Rights Directive aims to simplify consumer rights to bring the disparate regulations in various EU countries into line so that consumers will have the same rights across all member states – and also to strengthen and clarify those consumer rights when purchasing goods and services. The aim of the directive is to achieve a real business-to-consumer internal market, striking the right balance between a high level of consumer protection and the competitiveness of businesses. The deadline for the transposition of the directive into national laws was December 13, 2013. 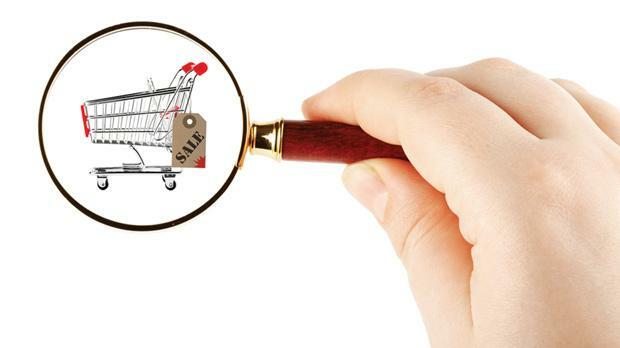 With only just two weeks of consultation, Malta managed to meet the deadline with the promulgation of the Consumer Rights Regulations by virtue of Legal Notice 439 of 2013, which revoked the Distance Selling Regulations of 2001. These regulations will be coming into force on June 13 in all member states. According to the Malta Business Bureau, the introduction of the regulation will help Maltese businesses benefit from cross-border selling, bringing equal opportunities together for all operators; but with just a few weeks before the regulation comes into force, are Maltese businesses ready for the changes? • The introduction of an EU-wide withdrawal period of 14 days. The new 14-day cooling-off period starts not from the time that the order is placed but from the time the consumer receives all the goods they ordered (Article 10). The right of withdrawal also applies if businesses sell services. • Some services, such as social services, healthcare, gambling, financial services, construction of new buildings, passenger transport services (exceptions exist) and others are excluded from the Regulation (Article 3). • The business will reimburse all payments received from the consumer, including, if applicable, the costs of delivery without undue delay and, in any event, not later than 14 days from the moment the business receives the customer’s withdrawal notification (Article 15). Businesses will have to clearly advise customers that they have to bear the costs of returning the goods and provide an estimate of this cost for larger goods at the outset of the contract. If businesses fail to do this, they will have to bear the costs of return in addition to delivery costs. • If a business has not complied with the information requirements on additional charges or other costs, or on the costs of returning the goods, the consumer shall not bear those charges or costs (Article 5 (6)). For additional costs (for example, extended warranty) to apply, the consumer has to agree expressly to such costs, i.e. consumers will need to actively tick a box to add services or payments. Pre-ticked boxes are banned. All pre-ticked boxes for supplementary services to purchase particular goods or services, such as travel insurance, car rental and baggage, are banned. Customers will now have to actively tick the boxes should they wish to add the additional services rather than be forced to un-tick the boxes if they do not want these services. • Businesses will not be able to charge consumers more for paying by credit card than the actual cost to the trader to offer such means of payment (Article 21). • Businesses will also need to inform consumers of their right to withdraw in writing. A consumer who is not informed will automatically be entitled to an extended withdrawal period of 12 months starting from the end of the initial 14-day period (Article 12). There is a new standard withdrawal form specified in the directive. Businesses need to provide consumers with this so-called ‘model withdrawal form’ to use when cancelling contracts. This is regardless if the sale happens online. • Businesses have to ensure that information on digital content is clearer, including its compatibility with hardware and software and the application of any technical protection measures, for example limiting the right for the consumers to make copies of the content. Consumers will have a right to withdraw from purchases of digital content, such as music or video downloads, but only up until the moment the actual downloading process begins. In order to avoid administrative burden being placed on businesses, especially small businesses, member states were allowed to opt not to apply the directive when the value of a transaction is below €50. Malta chose not to apply the directive to off-premises contracts under which the overall price payable by the consumer does not exceed €30. These regulations shall only apply to contracts concluded on or after June 13, 2014. Member states must inform the Commission about their use of regulatory choices provided by certain articles of the directives but, by April 28, a number of member states, including Malta, had not yet done so.